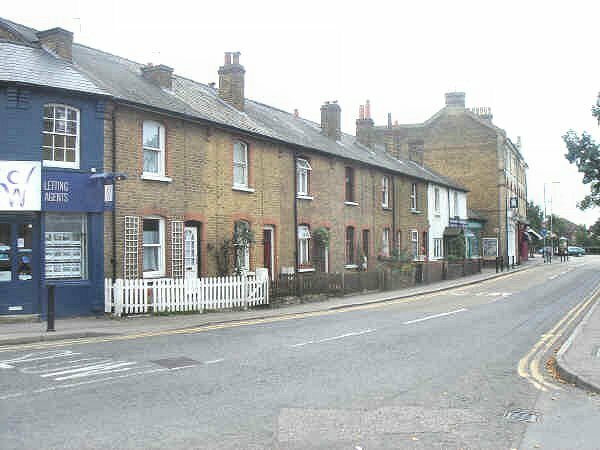 Hersham was a relatively quiet small town until it was engulfed by the expanding London conurbation. 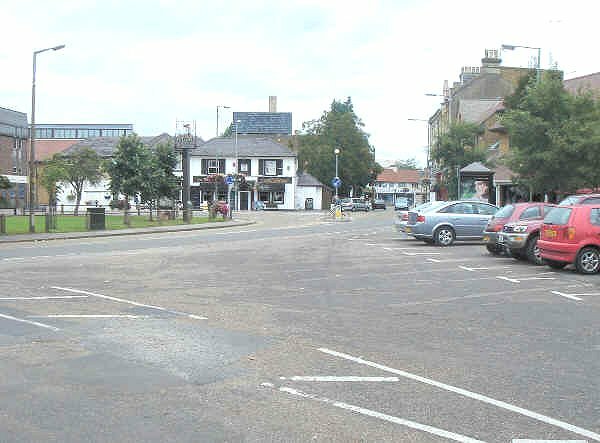 The centre of Hersham is relatively picturesque. 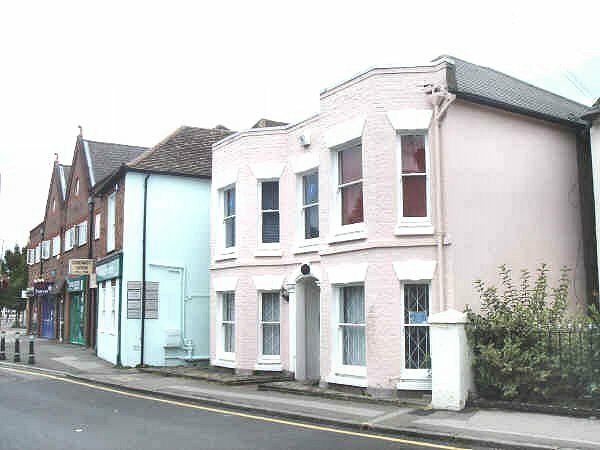 Photograph 2nd September 2007. 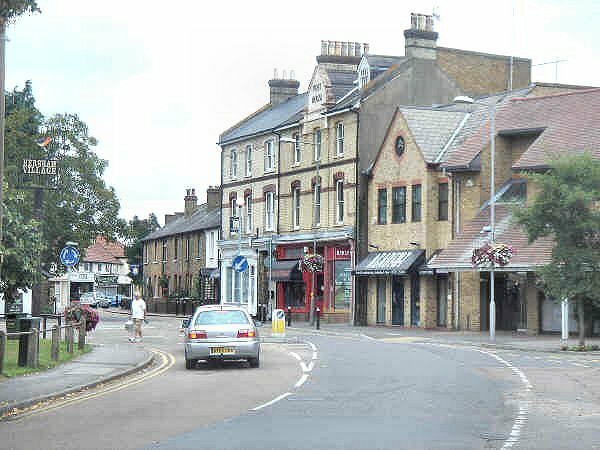 Hersham High Street during an unusual gap between road traffic. 2nd September 2007. 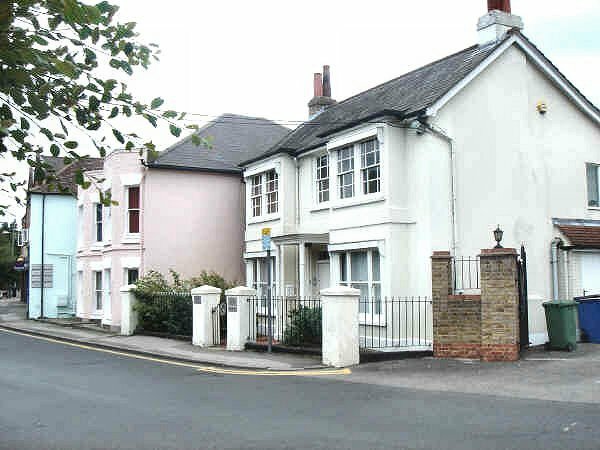 Some of the older buildings in Hersham. 2nd September 2007. Buildings overlooking the green. 2nd September 2007.